Get your RV/Travel Trailer ready for Summer! It's finally that time of year again. Spring is in the air, and summer is just around the corner! What does that mean? 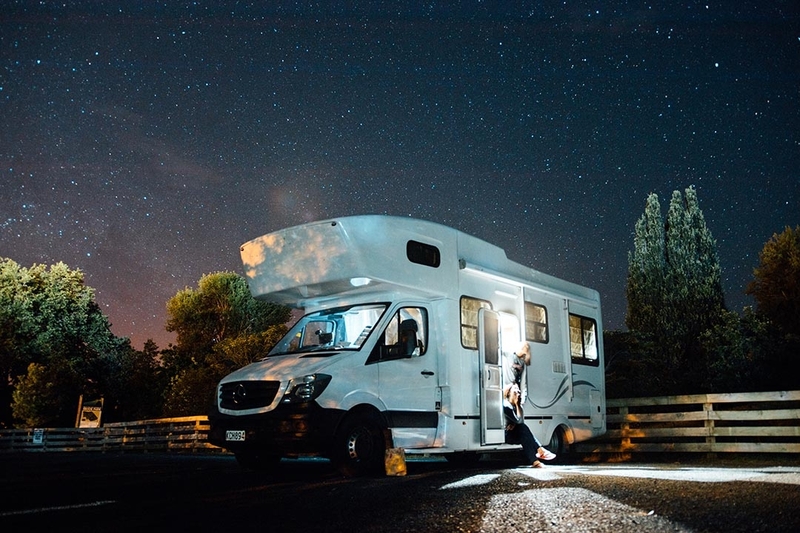 It's time to get into your RV/Trailer and get camping season started. After months of it not being used it's a good idea to give it a good check-up before heading off. Can't wait to get going? Here are some easy tips to get ready for the season. Take a good look at your tires. Make sure to inspect the tire pressure as well and tighten all the lug nuts to ensure they're safe to drive. Anti-freeze is a reliable way to keep your water tank, pump, and pipelines from freezing in minus temperatures. But the chemical remnants are not ingestible. So before using the tap drinking or cooking you'll want to flush out the whole fresh water system. After your water tank and water heater are full, it's safe to plug it into a power source. It's crucial your water system is full and working before plugging it in. This will ensure you don't have the electric mode for water heater turned on. A water tank with electricity applied could burn out the appliance. Get your stove top going by turning on the propane tank and lighting the burners. This will help release any air that might have gotten stuck in the gas line while it was sitting over winter. Test out the furnace and water heater as well. Hopefully, everything works first time around. Gas appliances can be difficult to get going again after being stored away for a long time. 5 | Swap in some new batteries in your smoke detector, and in the carbon monoxide detector. Also, you'll want to make sure the fire extinguisher is still full, and not expired. Now you're ready, all you need to do is pack the food! HOME INSURANCE: What's the Difference Between Sewer Backup, Overland Water, Water Escape, & Surface Water?